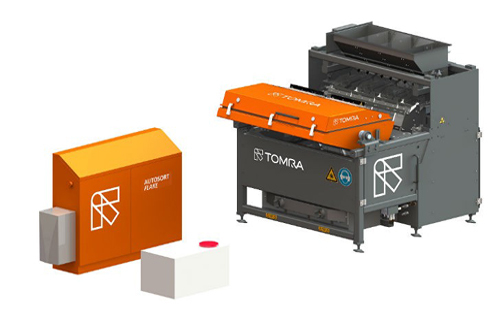 Tomra Sorting Recyclcing has unveiled its AUTOSORT FLAKE with triple-sorting capability for plastics recycling . AUTOSORT FLAKE provides analysis and sorting of waste-stream flakes by color and material at the same time while detecting metal. As with its AUTOSORT stablemate, Tomra Sorting’s AUTOSORT FLAKE deploys TOMRA’s patented FLYING BEAM technology combined with the new developed FOURLINE 2mm optic module, which is reportedly the highest available NIR resolution on the market of sensor based sorting equipment. Depending on the needs and demand, it is also possible to combine different TOMRA sensor-based sorting equipment at various steps of the process to achieve better results, according to him.